When your church needs a roof replacement or repair, you can count on us to provide exceptional services at competitive prices. When you need repairs or installation for Minneapolis church roofs, NMC Exteriors provides the affordable prices and exceptional quality you deserve. Our family-owned business has served this area for nearly 20 years, and we like to say we’ve provided peace of mind since 1999! Whether you need a full roof replacement, have a small leak, or have suffered extensive damage due to a storm or other unforeseeable Act of God, you can count on us to respond quickly with the services you need to protect your church so you can get back to the business at hand. Our commercial roofing contractors can work on any type of church roofing including metal, asphalt, fiber cement, slate, and more. We strive to offer the perfect combination of quality and value, so you can get the expert workmanship you expect without overpaying. Top-Rated Products: Our GAF Certified roofing experts only work with products from the industry’s most trusted manufacturers. Expert Workmanship: Every one of our roofing specialists has been manufacturer trained and has years of experience. Simple Financing: Flexible financing with attractive terms makes it easier to budget for the commercial roofing services you need. 24/7 Repair Services: Some repair calls just can’t wait for normal business hours, and our 24/7 service ensures we’ll be here when you need us. Impressive Warranties: Our Minneapolis church roofs are backed by industry-leading warranties, so you can have total confidence that your investment is protected. 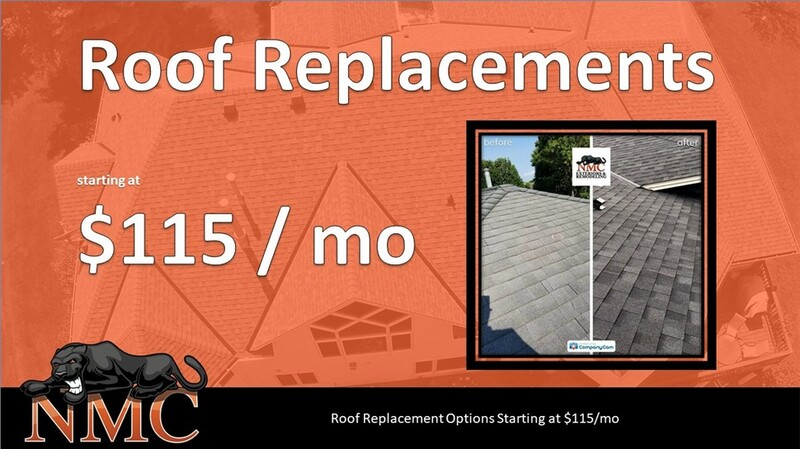 From small repairs to full roof replacements, NMC Exteriors is the trusted choice of local homes and businesses. Since 1999, our commitment to quality has earned us A+ accreditation with the Better Business Bureau, many industry awards, and a reputation as an exceptional choice for your commercial roofing needs. Call NMC Exteriors today, or fill out our online form now!